Even when things are going good and fine, there's nothing wrong in making them.. better. Here is a hack on the et Smiley script for Blogger (and all other blogs) which brings in more smiles. The hack is to initialize the script manually. This can also result in a faster loading of the smiley script. The smiley script waits until the entire page loads before it makes the smileys appear. But sometimes it has to wait until some small missing element in the page is loaded. This new method loads the script as soon as it is safe for it to load. No extra waiting! So, the users who are currently happy with the script can just move on. Anyhow, if they find the improvisation discussed above interesting, feel free to try out the new method. Users who are already using the smiley script and changing to the new method, make sure to remove the script currently in use. Refer to the post from which you added the smiley script (Smileys for Blogger or Smileys for any blog/website) and remove the added lines of code. In your Blogger Dashboard, click the More Options down arrow next to your blog and select Template. In Template page, click the Edit HTML button. Several conventional recipes (and a few embarrassing disasters) later, last day I tried a pretty long recipe. This time the aroma comes all the way in Italian style. 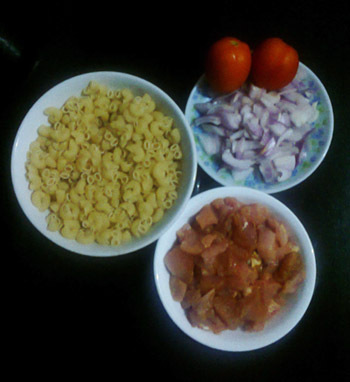 So we gather round the raw materials..
Macaroni, Chicken, Onions, Tomatoes, Pepper and lots of Sauce. AND Butter. Shed some a lot of tears on the onions. Don't mess up too much with the sauce. 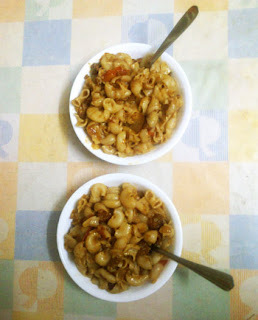 Here we have the amazing Buttered Chicken Macaroni. Le macaroni au poulet au beurre. The good ol' Eternal Thoughts template has retired to make way for the fresh new Mindblast template. Speaking of freshness, this design idea or at least many of it's features has been sketched down and/or implemented within the last 2 years. 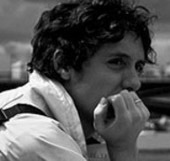 In the end time wins, procrastination surrenders, because time is essentially infinite ;). The old template was much loved by many readers. But after all, the old one was my first attempt at a blog design and so the code badly needed some total makeover. Right after weeks and months of bragging about hectic college life, suddenly I am given all the free time I ever wanted. It is a sweet contradiction :). Following this all my previous blog posts were about creating something and publishing it. The list of ideas is being ticked off one by one and I must say that it is a wonderful feeling.